Meet Jess, a University Graduate Looking for a Career - SchoolFinder.com! Securing a job in a field directly related to your undergraduate studies. When Jess completed her undergraduate degree, she found herself at a crossroads. Look for an entry-level position in primary health care? Or pursue additional studies to streamline her career path? Having decided to take the further education route, Jess began her search for a graduate certificate program that would provide the experience she needed to make her resume stand out. She found the right fit in Hamilton at Mohawk College and enrolled in the Mental Health and Disability Management Graduate Certificate program. "My degree gave me a solid foundation, but I knew I needed practical skills and workplace experience," says Jess. “With so many opportunities to learn outside of the classroom and get involved in the community, Mohawk’s graduate certificate program checked all the right boxes for me." As a leader in experiential learning, Mohawk’s graduate certificate programs prepare you, in one year or less with experience you will use in the workplace. Embedded in all programs are learning opportunities developed in cooperation with industry partners, such as capstone projects, work placements, and interactive simulations. These partnerships formed between industry, colleges and universities are key to students leaving with relevant skills for today's job market. Securing a job in a field directly related to your undergraduate studies? Consider a graduate certificate program that complements your existing knowledge base. For Jess, combining her undergraduate degree with a graduate certificate has given her the confidence that she’ll have both the knowledge and the skills to help fill gaps that exist in primary health care environments. Ready to go further? 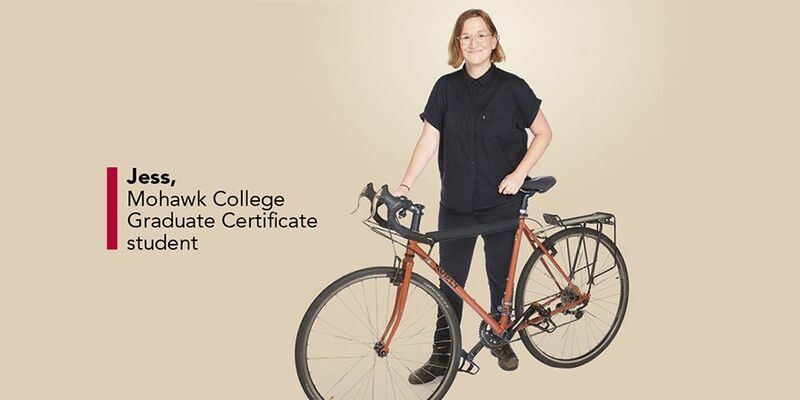 Explore Mohawk College Graduate Certificates today and find the one that’s the right fit for you.